The former Globe and Mail journalist discusses the creative process behind his buzzy debut novel, American War. 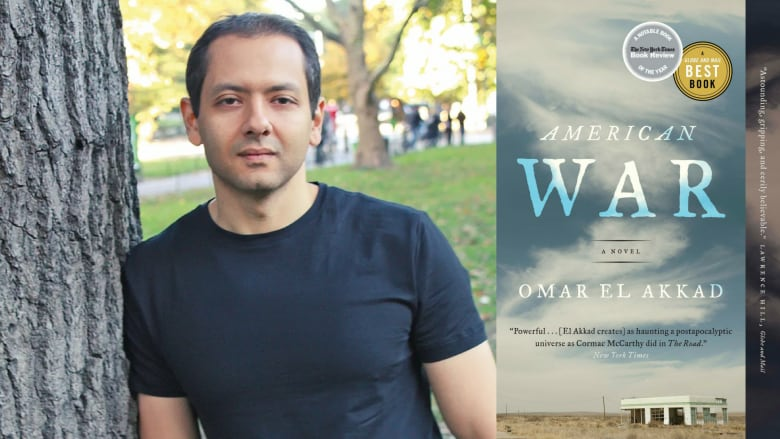 Set 50 years from now, Omar El Akkad's debut novel American War envisions a future where government restrictions on fossil fuels have sparked a second Civil War in the U.S. American War was a finalist for the $50,000 Rogers Writers' Trust Fiction Prize in 2017 and is currently a finalist for the 2018 Amazon.ca First Novel Award. In his own words, El Akkad, a former Globe and Mail journalist, describes how his novel came to be. American War was defended by Tahmoh Penikett on Canada Reads 2018. "When I was looking for an analogy to mirror the causes of the first Civil War, I knew I wasn't going to find something that matched the sheer human cruelty of slavery. But fossil fuel use worked as an analogy in the sense that it's something that, when we've moved on and no longer rely on it, people are going to be happy to say that they would have stood up and opposed it. In much the same way that somebody who wouldn't have been affected immediately by the cause of the first Civil War can stand up today and say, 'I would have opposed this. I would have seen how unjust it is.' But it's not that easy. We're not just talking about a passing phase or something that a few evil people did. We're talking about something that fuelled a massive commercial empire. "Climate change had to be a central part of the story because it's going to be a central part of our wars in the next century. It's very hard to imagine that rising sea levels, which are going to displace millions of the poorest human beings on earth, are not going to cause conflict." "I spent six months researching before I began writing. A lot of the fake source documents between chapters in American War are based on experiences I had reporting in Afghanistan or reporting in Guantanamo Bay. "I spent time in southern Louisiana, working on a feature about land loss in the southern regions. They lose the equivalent of about a football field worth of land every 45 minutes or something like that. To go down there and see one of the most unique and beautiful ecosystems in the world essentially just sinking into the sea had an effect on me. Going into Georgia, driving up from Florida, and seeing a huge billboard that said 'Secede' had an effect on me." "This is the fourth book I've written, but it's the first one that I've ever shown to anybody outside my best friend. For a while, it was going to just be a fourth novel that sits on my hard drive. I had no intention of publishing it. Then one day, I had a bad day at work. I thought, 'To hell with it.' I emailed an agent that I knew and said, 'I know this is every agent's worst nightmare, when a journalist tells you he has a novel, but I have a novel. Could you take a look at it?' She did, and a few days later she said, 'I think I know an editor who might like this.' So the real turning point for me was that I had a bad day at work and that's the reason this book exists." Omar El Akkad's comments have been edited and condensed.